What do we do with Lost Property left in Cabs? All our Taxi Drivers deliver lost property to the nearest Police Station within 24 hours of discovering it in their vehicle. Drivers are also asked to advise the Call Centre whenever they notice that property has been left in the taxi. If you believe that you have left property behind in a taxi please contact the Call Centre as soon as possible. Cheques may be accepted by a driver by prior arrangement. 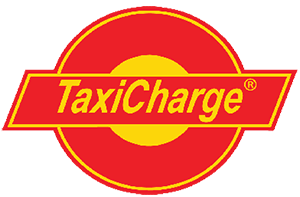 All Blue Bubble Taxis are equipped to accept EftPos Credit Cards and TaxiCharge Cards. Registered Companion animals will be accepted in our Taxis. All other animals are accepted at the driver’s discretion and it would be preferable to advise during the booking that you have an animal. Why are taxi vans so hard to get on Friday/Saturday nights? On Friday & Saturday nights, while the entire fleet of vans may be working, the demand can outstrip supply. Vans are also frequently doing multiple pick ups or drop offs so take longer to complete jobs leaving less time to be available. How many passengers fit in a taxi? Most taxis are able to carry four passengers plus the driver. It is illegal for a taxi to carry more passengers than it is certified to carry. The driver can be fined and even lose their licence if they are caught overloading their vehicle. We also operates vehicles that are certified to carry more than four passengers and can be requested at time of booking. Taxi Drivers are able to deliver pre-paid groceries. 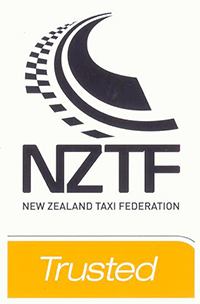 Taxi drivers are NOT able to deliver alcohol or tobacco products. Taxis are dispatched to arrive at least two minutes early for a pre-ordered fare. Aside from unexpected traffic delays the most common issue is that a pre-ordered taxi may be the last vehicle in the area when it is either hailed or called to another earlier job. Of the many hundreds of thousands of pre booked taxis dispatched every year a very, very small percentage arrive more than a couple of minutes after the pre booked time. No, Taxi Drivers (and taxis) are not designed to move furniture or personal goods. Will the driver knock on my door they arrive? Our drivers will not knock on the door unless they are asked to do so when the booking is made. We operate a “text on approach” service which send the caller a text message once the taxi is approaching the passenger. Bookings made through the Blue Bubble Taxi App also automatically advises the arrival of the taxi. Yes for various reasons Taxi or shuttle drivers can refuse passengers.